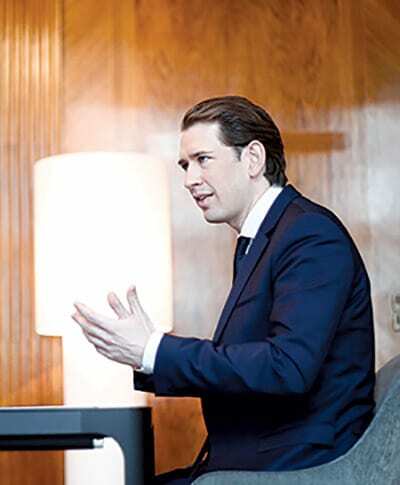 Serbia’s place is in the European Union, says Austrian Chancellor Sebastian Kurz in this interview for CorD, before adding: “Serbian citizens have to be aware that without the effective and comprehensive normalisation of relations between Belgrade and Priština there will be no accession to the European Union”. In contrast to impressions in Serbia that the country is actively endeavouring to strengthen international support to Kosovo, which Serbia Foreign Minister Ivica Dačić claimed was obvious in light of Kosovo’s attempt to secure membership in Interpol, Chancellor Kurz says that Austria supports both Belgrade and Priština in their dialogue on the normalisation of relations. 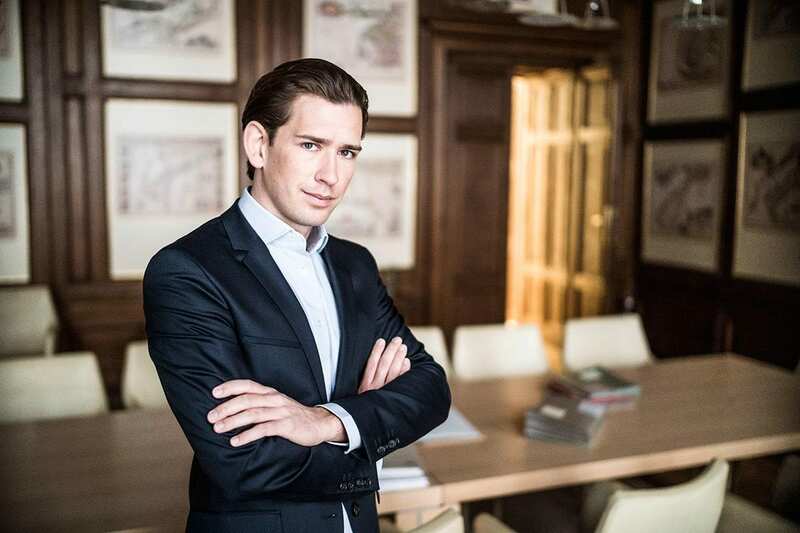 Chancellor Kurz, you are perceived by the media as a European leader who wants to increase his country’s influence in the Western Balkans, but also his personal influence. Have they interpreted your policies well? The Western Balkans is in our immediate neighbourhood. We have very strong historical, political, economic and human bonds with all the countries of the region. 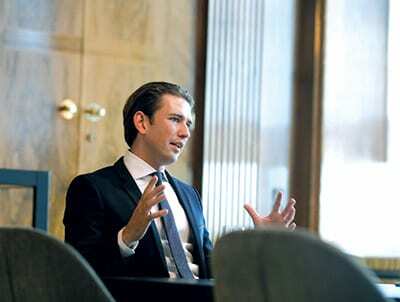 What happens in the Western Balkans impacts on us directly in Austria. This is why we have a clear interest in the stability and economic prosperity of this region. I also believe that countries like Serbia belong in the European Union. The European Union will therefore only be complete when the countries of the Western Balkans have joined. I have always supported the EU accession process of Serbia and the other countries of the region and will continue to do so. Numerous analytical reports refer to the Western Balkans as a region in which instability remains greater than development potential. How do you see the situation? EU accession is the best guarantee and leverage for stability in the region. I think the potential for development is huge. The fact that Austria is among the largest investors in Serbia and the region’s other countries shows that we still see much more potential in the region. Stability is not a given, however. 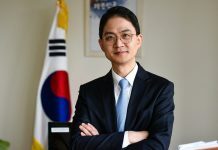 It requires constant work and political courage to settle bilateral disputes. More needs to be done. What are the key aspects of Austria’s cooperation with the countries of the Western Balkans, primarily Serbia? We have very close political, economic and cultural relations. The most important connection is the diaspora population of Serbia and other countries of the region in Austria. They are a well-integrated and important part of our society. On the other hand, we have more than 400 Austrian companies doing business in Serbia, providing approximately 18,000 jobs. We are among the top investors in Serbia, with over 2.3 billion euros invested to date. Our companies are interested in doing and expanding business in Serbia and investing over the long term. On a political level, we are strong supporters of the accession of Serbia and the region to the European Union. This process requires a number of reforms, and we are happy to support Serbia in this regard. Under President Vučić, a number of important reforms have already been tackled. Has the hostility between yourself and Deputy PM Dačić impacted on bilateral relations between Austria and Serbia? Austrian-Serbian bilateral relations are excellent, and both countries have an interest in maintaining the excellent quality of these relations. I regularly meet with President Vučić and my counterpart, Prime Minister Ana Brnabić, and we have excellent personal relations. I have known Ivica Dačić for a long time and saw him just recently in Vienna. Given that you claim to support the dialogue between Belgrade and Priština, do you not think that this dialogue is also an appropriate format for resolving the issue of Kosovo’s membership in international organisations? We strongly support the dialogue between Belgrade and Priština, under the facilitation of the EU and Federica Mogherini. Serbian citizens have to be aware that without the effective and comprehensive normalisation of relations between Belgrade and Priština there will be no accession to the European Union. We have good relations with both Belgrade and Priština and try to support this process as much as possible. Resolving this issue will be to the benefit of both sides, and I sincerely hope that we will be able to see results as soon as possible. 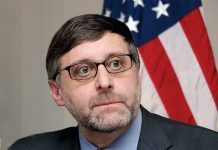 Given that you’re the chancellor of a state that’s a member of the EU, which is facilitating the Belgrade-Priština dialogue, how should we interpret your call for U.S. President Donald Trump to engage more on this issue? It is clear that a solution needs to be found, primarily by the two sides, in Belgrade and Priština, and that the EU is in the leading position to facilitate this process. But, at the end of the day, any solution needs to have the support of the major powers, in particular, the permanent members of the Security Council. We have an interest in being in close partnership with the United States as regards the Western Balkans, and to have their support in encouraging progress on this important issue. In contrast to the EU’s official position, and that of Germany, you support the idea of dividing Kosovo. Many believe that bringing borders into question would lead to fresh instability across the entire region. How would you respond to that? I have stated publicly that we will support what both sides can agree to, but it goes without saying that such a solution must contribute to more stability and not to more instability. I am confident that this is achievable. Last year saw a new record in the trade exchange between Austria and Serbia, with the total exceeding a billion euros. Do you see opportunities for new Austrian investments in Serbia? First of all, I am happy to see that the trade exchange between Austria and Serbia has been developing well in recent years. However, there is always room for more, and we should look into further opportunities. 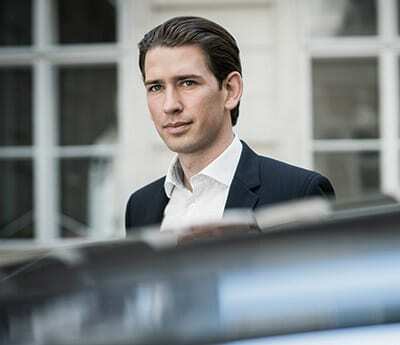 From my contacts with Austrian companies, I know that there is interest in doing more and investing in the long term, be that in the service sector and the field of production and infrastructure. We also have a lot to offer in the energy sector, as well as with the environment. Have the EU accessions of Serbia and other Western Balkan countries been temporarily removed from the agenda as a result of internal happenings within the EU? Certainly not, and I’m not sure how you could possibly draw such a conclusion. On the contrary, during the Bulgarian and Austrian presidencies of 2018, the EU enlargement process was placed at the top of the agenda, as exemplified by the informal EU summit in Sofia that clearly reaffirmed the region’s membership perspective. The Commission issued a comprehensive strategy a year ago and in June 2018 EU Heads of State and Government reaffirmed their commitment to enlargement, which remains a key policy of the European Union. During our presidency, two new negotiating chapters were opened with Serbia and one with Montenegro. EU enlargement will continue to be a key foreign policy priority for my government, because the EU perspective of the Western Balkans is of crucial importance to the stability of the entire region, and is therefore in the EU’s core interests. The European Union will only be complete when the countries of the Western Balkans have joined. How have you interpreted French President Emmanuel Macron’s platform for EU Reform? I very much welcome that we again have a European debate after President Macron’s proposals on the future of Europe. That is the essence. I agree with some of his proposals, such as the protection of our external borders, the focus on innovation, the fight against hate speech and anti-Semitism on the internet and a new partnership with Africa. On other issues, I am more aligned with the head of Germany’s CDU, Annegret Kramp-Karrenbauer, in particular with regard to French plans for a European social union. The introduction of a Europe-wide minimum-wage quite honestly seems unrealistic to me, given the different wage levels within the European Union. Europe instead needs to focus more on how to foster innovation and become more competitive again, in order to secure our high living standards. Could there be a division of the EU between the countries around France and Germany and those of the so-called Eastern Bloc, which you’ve been supporting on the issue of the migrant crisis? As a neutral country, Austria has always been a bridge-builder between East and West, and a place for dialogue. What we need is a more united and less divided Europe, with fewer tensions between the North and the South, or the West and the East. How would you explain the strengthening of populism and right-wing parties within the EU? Politicians have to do what they think is right, not what is popular. This is what I’ve been doing so far. And it was not always popular, as in 2015 when I was opposed to the so-called “Willkommenskultur”. Citizens in Europe have reason to be worried about the migrant crisis, for example, and we – as politicians – have to take their concerns seriously and address them by providing solutions, such as regarding the uncontrolled migration to Europe that was evident in 2015. I think a lot of change is necessary for the European Union, but I’m pro-European, so I support those wanting to strengthen the Union. We must, first and foremost, address our most urgent problems, such as addressing the migrant crisis by protecting our external borders and providing aid in the countries of origin. By solving our problems, we can clearly show the value added to our citizens by the EU. If we want to be strong as Europe, we need to be united and more focused on the big issues, such as security, foreign policy or the single market. In my view, this means that we should continue resolutely with that which Jean-Claude Juncker committed to doing at the start of his presidency and has attempted to put into practise in recent years: creating a Europe of subsidiarity, focused more on major issues where common answers are needed, and at the same time allowing the European Union to step back on issues where regions or member states can make their own decisions. I believe that it is only when we really live by the principle of subsidiarity that the diversity that we know and value in the European Union will continue to remain our strength.